Arts & culture abound at Nordic Fest. Visit Vesterheim to learn about Norwegian arts and culture, attend the Bunad Show—and check out various venues where you can observe artists at work and purchase items to take home. Please check schedule for complete listings. 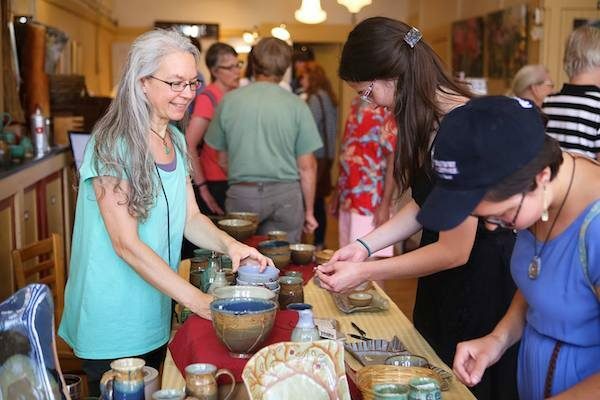 A main event of Nordic Fest since 1974, the Arts & Craft Center is bustling with activity with 30+ artisans from the region. Here you’ll find Scandinavian themed wooden figurines, ceramic, fabric and wood gnomes, Hardanger embroidery, rosemaling art, Nordic folk art, Norwegian needle craft, American girl doll clothes, jewelry, soaps and lotions, fabric quilted runners, fabric wall art, machine embroidery, and much more. Don’t miss the opportunity to visit Vesterheim, the national Norwegian-American museum and heritage center, during the Fest. 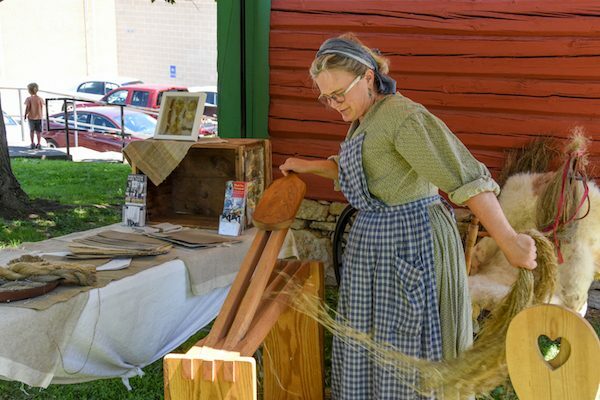 Take in exhibitions and attend demonstrations of everything from woodworking to musical instruments to weaving. The Decorah area values and supports a thriving community of professional artists. Stop by the ArtHaus Art Fair for a sample of what the local talent has to offer. Enjoy one-of-a-kind jewelry, prints, ceramics, photography, fiber work, and much more. 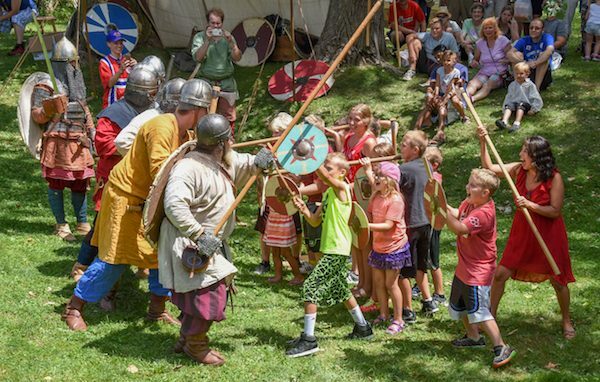 The Skjaldborg group from Elk Horn, Iowa entertains Festers throughout the day and provides full Viking combat demonstrations. A staple event at Nordic Fest since 1973, the Bunad Show enables Festers to experience the diversity of traditional Norwegian folk costumes. Marvel at the intricate handiwork and rich history of these unique clothes worn by volunteer models.